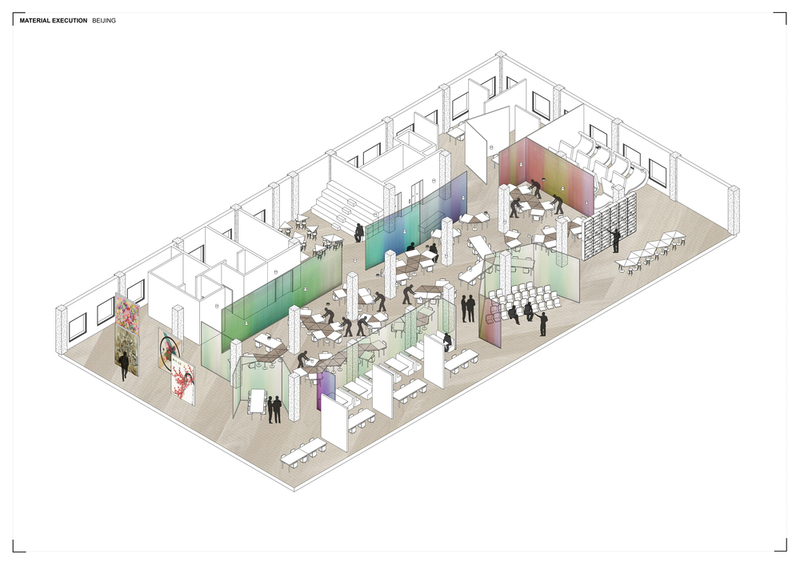 AIM Co-Working Space Competition: Beijing +Shanghai Entry. 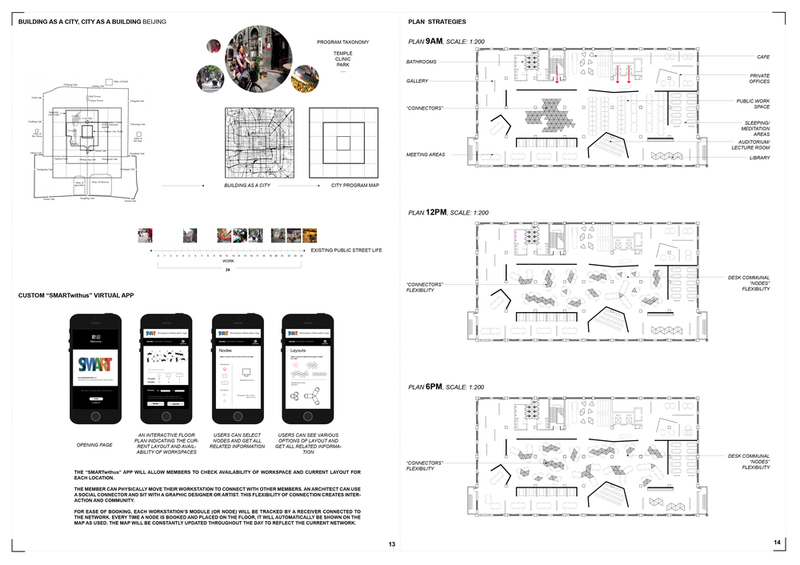 We approached the design of SMART With US co-working space(s) with a goal of producing a systematic solution based on a “kit of parts” that can be adaptable to any future location. Rather than replicating existing co-working brands in existence in the US and elsewhere, we examined and researched their DNA and tried to find out what are the main reason(s) for their tremendous success and rapid growth is. 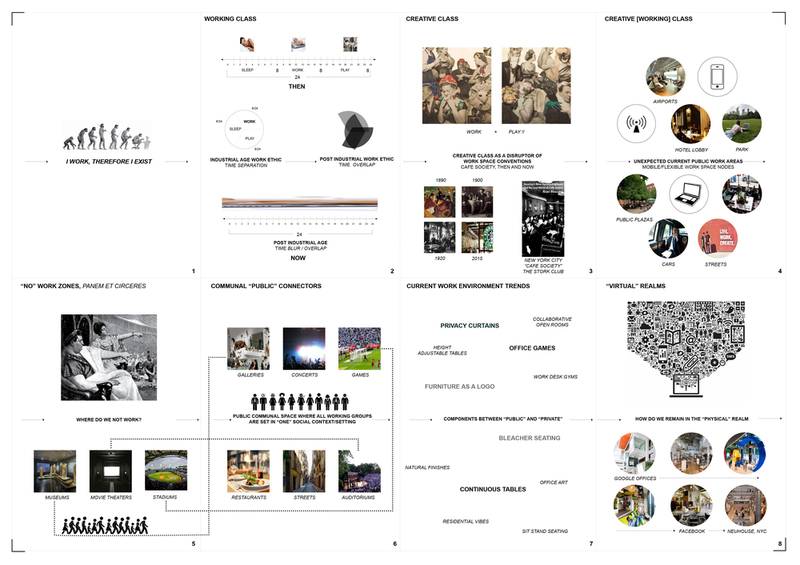 We also looked into the historical context of development of workspace environments in industrial and post-industrial age pertaining specifically to creative class work(space) patterns. 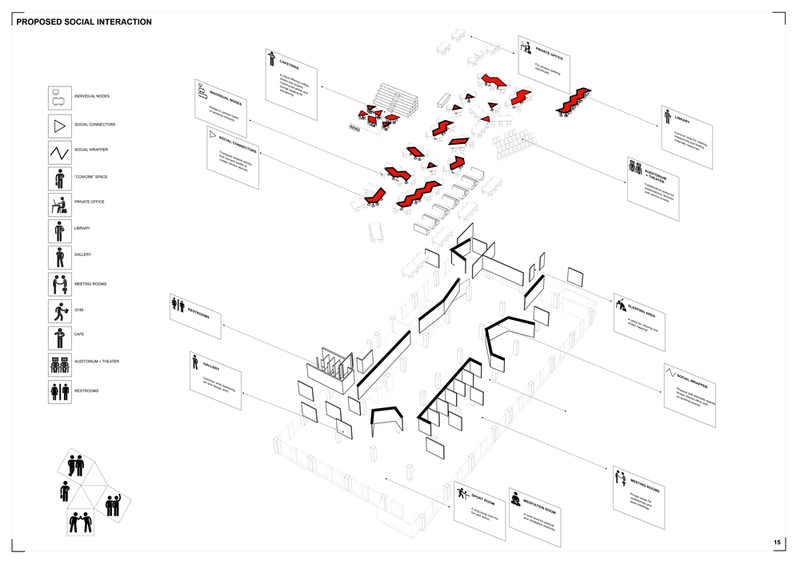 Our “kit of parts” consists of 3 main elements: personal desks/individual nodes, flexible triangular desk extensions/social connectors and fixed irregular partitions/ social wrapping. These parts simultaneously create flexible and fixed spatial elements and areas. This interplay between fixed and flexible is directly correlated to programmatic distribution, where individual nodes are the most flexible elements, while designated “no-work” social areas and zones are fixed. 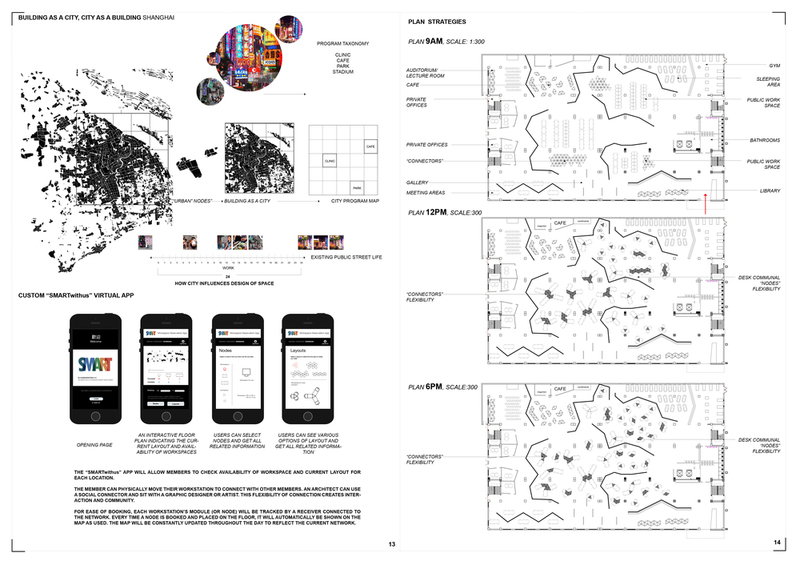 One outcome of unification of global space is that there is a counter-tendency and desire for site-specific, particular space; use of local; reclaimed and recycled materials. In our proposal, at this stage of development we have concentrated on the broad specifics of the hosting city/sites and on what differentiates Beijing from Shanghai or Shenzhen. We looked at these cities and their urban patterns andparticular public spaces that are created as an outcome of these specificity. These elements in general influenced our overall layouts of the space, and in particular shape and form of “social wrapping” elements. In order to streamline use of space we have created simulacrum of an App that will help users navigate availability of flexible nodes and will allow multiple configurations of grouped working environments to be created. This will also help users of the space to reserve nodes remotely and reconfigure them on the spot based on the use and configuration of the space at any given moment of the day.